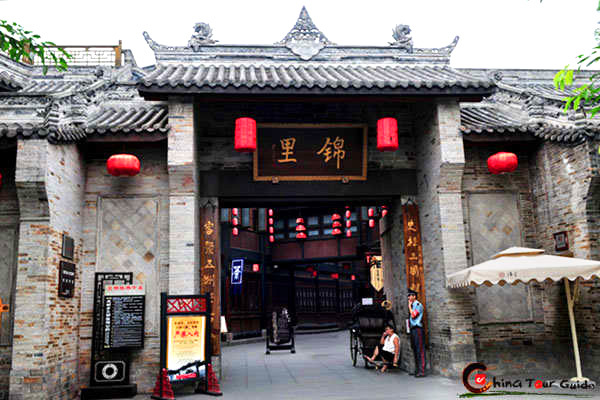 Located in the east of Wuhou Memorial Temple, Jinli Ancient Street (Jinli Old Street) is modern commercial pedestrian streets that embed into Chengdu ancient buildings which originally built during Qing Dynasty (1644-1911). 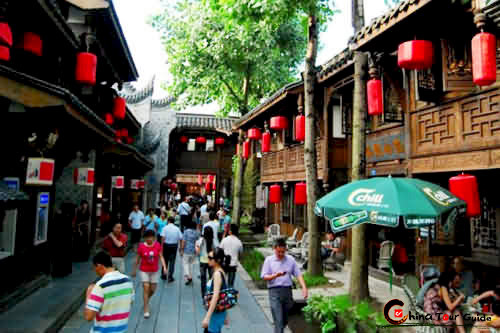 Over 350 m (383 yds) in length, Jinli Ancient Street is the concentration of Chengdu nightlife, snacks and folk culture. There are many cafes and bars here - including Starbucks. They blend modern elements with the old buildings harmoniously. It is enjoyable to sit on a wooden or bamboo chair with a cup of delicious coffee. When night falls, the whole street is decorated with beautiful red lanterns on the each eave of the ancient buildings. These cafes or bars are the perfect place to take a break, rest, and soak up the local culture. As well as the bars, Jinli Ancient Street is also the paradise for gourmand. 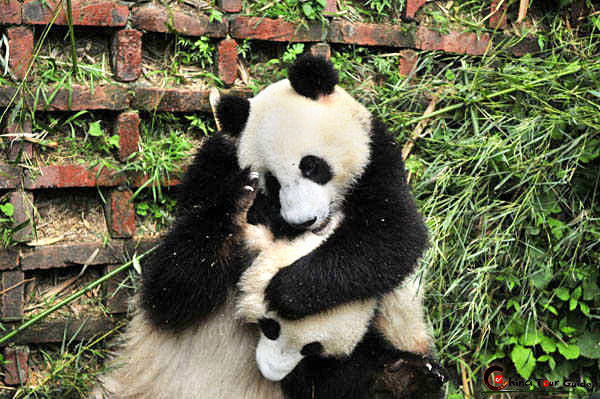 It contains large amount of Sichuan restaurants which provide famous Sichuan dishes and snacks - Mapo Tofu, Fu Qi Fei Pian and so on. 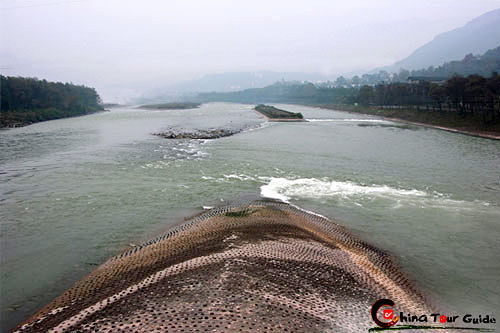 Very few people who visit this part of China leave without becoming hooked. 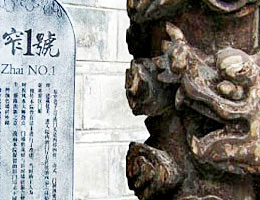 The entrance of the Jinli Ancient Street. 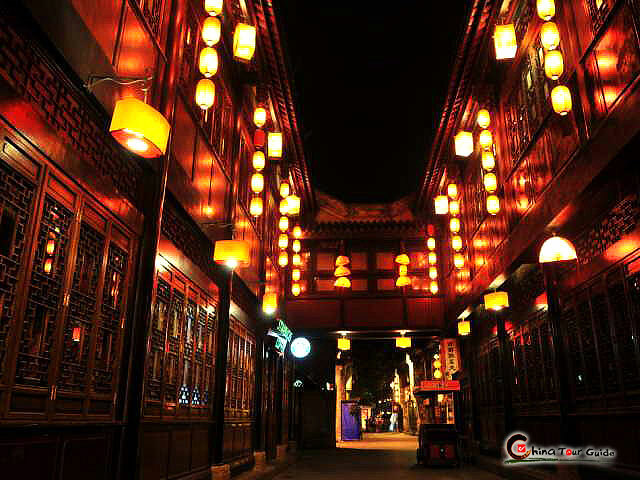 Jinli Ancient Street is well-decorated by red lantern at night. Strolling down the narrow street, you will find yourself surrounded by old-world stores selling lacquer products, folk handicrafts, Shu Embroidery and calligraphies. You can browse leisurely or purchase some souvenirs for your friends. Most of the special local products can be found here. 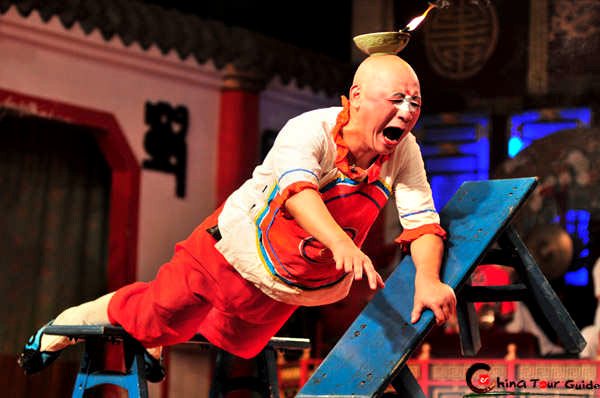 You can find folk artisans putting on funny shows such as a puppet show. Some traditional arts such as paper-cut and clay figurines made by the skilled craftsmen are sold here. From these artworks you will get a taste of the true life of the local people and find some reminders of China's past in the modern city. The stores and restaurants on the Jinli Ancient Street. 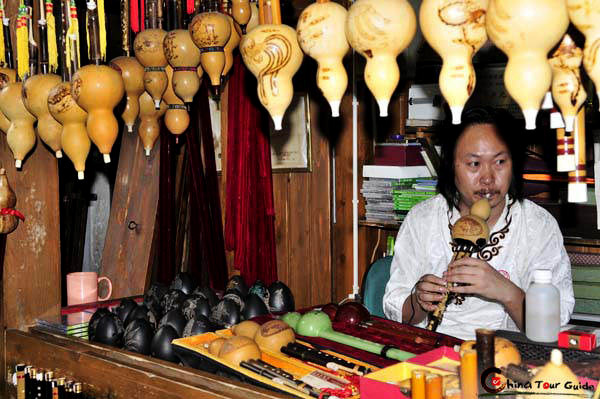 Ancient music instrument could be found on Jinli Ancient Street.